3R Group help clients take responsibility for their products at the end of their life, reducing environmental harm, improving resource efficiency and creating value. Critically, they help you solve a key problem for your customers: how to responsibly dispose of unwanted products and packaging. Rather than just being the ambulance at the bottom of the cliff, 3R believe businesses can think in more ‘circular’ terms and take into account how they develop, manufacture and consume a product. This will minimise the need for end of life recycling or disposal. When products do reach their end of life, 3R help businesses by reimagining this waste to create circular resources. 3R have been instrumental in developing key product stewardship schemes within the Paint, Textiles, Agriculture and Automotive sectors. 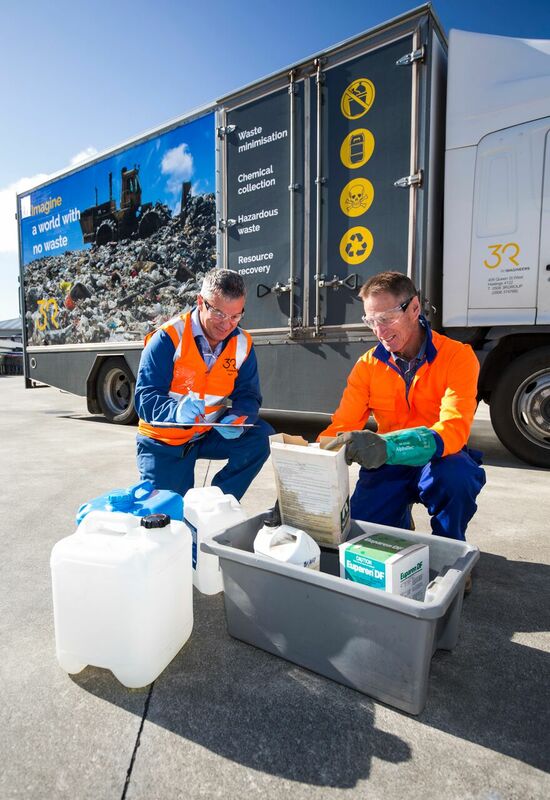 Recycling paint and its packaging is no easy, or small,task (it is believed that up to 20 million litres sit in garages and sheds across the country even now after over 10 years of stewardship). 3R have been involved in paint stewardship since 2004, when Resene approached them to help develop their PaintWise™ programme. 3R have developed effective solutions for collecting, processing, recovering and recycling products from paint and packaging, helping Resene to provide a simple disposal solution for their customers. One of the main goals has been finding innovative new uses for the recovered paint – a challenging but rewarding process. In partnership with Resene, 3R have developed PaintCreteTM, where old paint can be reprocessed into an admixture and used in concrete manufacture. The SeatSmartTM programme is a perfect example of where 3R have challenged our ‘take-make-waste’ thinking. Child car seats are required by law for children 7 years and under but have a limited life span of 6-10 years. Despite seats being made of highly recyclable materials, more than 40,000 seats per year have been going to landfill. Now with SeatSmart operating in many regions across the country, up to 90% of the materials are being recycled or repurposed and are finding a second life in the broader manufacturing cycle. 3R are also working on solutions for many other products that are typically sent to landfill, from mattresses and hardhats, to car bumpers and tyres. They were pivotal in setting up the Tyrewise project and leading the working group to find an industry-wide solution for end-of-life tyres. Tyres represent a significant underutilised resource in our circular economy - until very recently around 6 million tyres were being dumped each year. New investment is slowly changing this, however 3R expect to see progress from the new Labour-led government towards a mandatory product stewardship solution which would ensure all end of life tyres would be recovered.